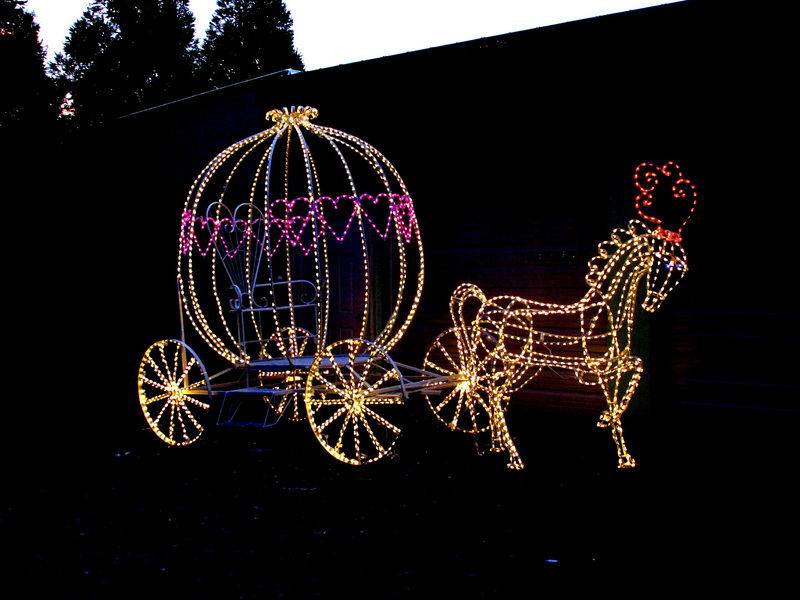 LED 3D Life-size Princess Pumpkin Carriage. Exclusivelly designed by the Holiday Light Store! Has a seat inside the Carriage for photo sessions. Comes with (1) 3D Horse. Horse and Carriage can be animated. All wheels on Carriage actually turn and front axle turns right and left enabling short distant moving on soft surfaces. Triple powercoated for years of durablity. This item would look great in a shopping mall or your front yard. Really a 1st class display to be proud of!